Do you want to transfer your files from your Android device to your Mac? But don’t know how? Don’t worry. MacUpdate has prepared a detailed guide for you. We will examine the most popular ways of transferring data from your Android device to your Mac so that you can choose the one that best suits you. Let’s get started! Basically, there are several ways to transfer files from Android to Mac; they are as follows: Using a USB cable Using a cloud service: you can store your data in online cloud services, such as Dropbox or Google Drive. Using special apps for transferring data. Previously, the best way to transfer files from an Android phone to a MacBook or an iMac was by using a USB cable. It remains a handy method, but it requires some time, and you need to have a Mac-compatible USB cable with you. To transfer data, simply connect the USB cable from your Android device to your Mac. By default, Mac Finder will consider your Android device as an external disk, and you can explore folders through your Finder. You can store your data in online cloud services, such as Dropbox or Google Drive and always have access to it, regardless of your device or location. Any items that you need can be downloaded directly to your Mac. Picture this: from your Android device you’ve taken a series of pictures of your kids playing with the dog, and have sent them to the cloud. Wherever you are, you can enter your cloud account from your Mac and download, or simply enjoy flipping through your albums when you're out and about. Choose the most suitable cloud storage. (Pay attention to the needed features and space available. Note that some cloud storage providers are free and others are not.) For our purposes here, we are going to use Google Drive. Sign in with your Google account (Gmail) on both devices. Go to your Android Device, find the photos you wish to transfer, click Share, and then click Save to Drive. That’s it, your files are in your Google Drive account now. If you want, you can go to Google Drive with your Mac and download the items you need to be stored on your Mac. Several good apps can help you. Without doubts, Android File Transfer is the most popular choice. This nice little app lets you view and transfer files between your Mac and an Android device in an instant. 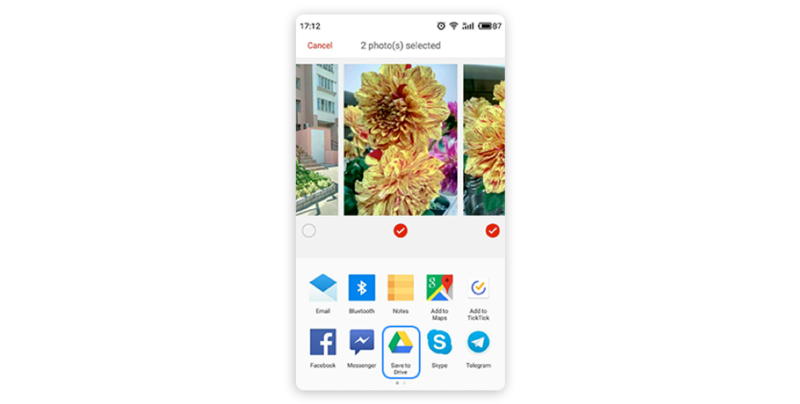 To be more specific, with it, you can browse files and folders on your Android device, add folders, copy files up to 4 GB to or from your Mac, and even delete files. Note: according to MacUpdate customers, Android File Transfer doesn't work with High Sierra and S7 edge. Do you want an alternative app to replace the Android File Transfer App? Consider using Instashare, an elegant drag-and-drop file transfer utility. You don't need to be tech-savvy to share files using it (No need to pair devices or setup transfer). Moreover, you don't need to be connected to the Internet; you can just use local Wi-Fi or Bluetooth to transfer your files. Plus, there is no need to register - just open it and start sharing files. Needless to add, the app guarantees security because its files are transferred only between your devices, without making a copy somewhere in the cloud. The other useful feature this app comes with is that it supports numerous file formats. In other words, you can transfer any file type, without restrictions; MP3, images, PDF, presentation, and many more. Transferring files from your Android device to your Mac is not difficult. 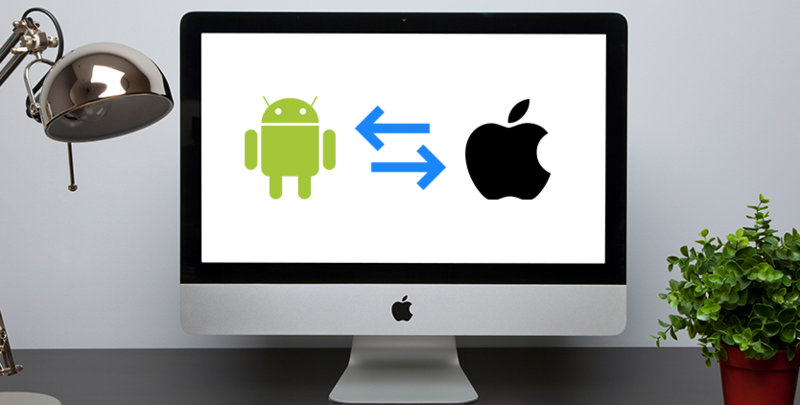 Check this detailed Android to Mac file transfer guide MacUpdate has prepared for you and choose which you like the most. P.S. Have some other ways to transfer data from your Android device to your Mac that we didn’t mention? Please tell us!